It is really frustrating to have puffy eyes especially when you have a big day ahead. Puffy eyes or under eyes bags is the most common cosmetic problem faced by many people. They make you look tired, ill and aged. Lack of sleep is the main culprit behind puffy eyes. Apart from that allergy, dehydration, medications, hormonal imbalance, smoking, alcohol consumption, dust, pollution, exposure to bright lights, water retention, iron deficiency, low blood sugar and hereditary also contribute to the under eye bags. If you have puffy eyes along with high fever, pink eyes, redness and burning sensation, then consult a doctor as soon as possible. In normal cases, puffy eyes can be treated easily with simple home remedies. Natural home remedies like cucumber, aloe vera, milk and potato which are easily available at home can be very effective in treating puffy eyes. However, in this article let me provide more information on cucumber for puffy eyes. 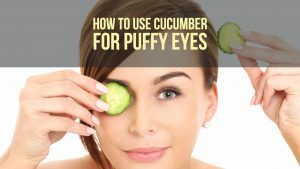 Does Cucumber Really Help To Reduce Puffy Eyes? The ascorbic and caffeic acids present in cucumber restrict the water retention under the eyes which reduces the puffiness. Cucumbers are rich in astringent properties which reduce the sagging of skin and increase its elasticity. Sometimes, puffiness can be accompanied with irritation. The soothing and cooling properties are thought to reduce irritation and tired look. The antioxidants and flavonoids in cucumbers soothe inflammation in the eye area and reduce swelling. There are several ways of using cucumber for treating puffy eyes. 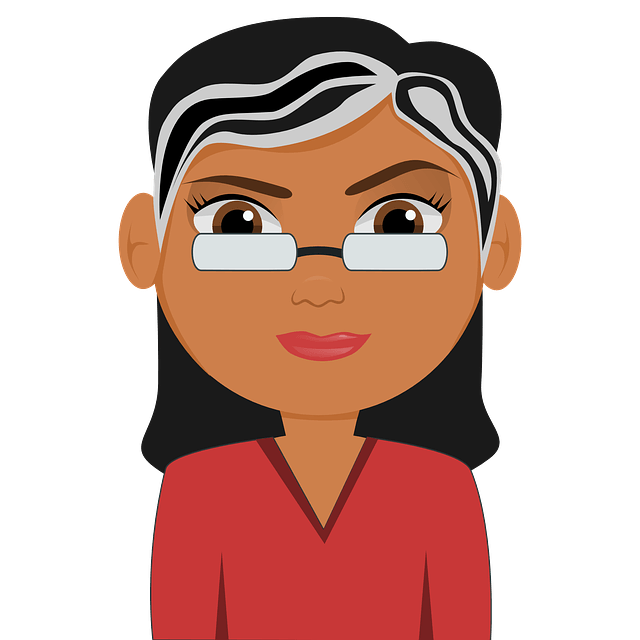 We have provided a detailed step-by-step process below for your convenience. Chilled cucumber slices provide an instant relief to the redness, heat and irritation associated with puffy eyes. Take a cool cucumber from the refrigerator. (Cool one cucumber if you do not have a chilled one). Slice two pieces large enough to sit on your eyes. Close your eyes and place cucumber slice on them. Let them rest for 15 – 20 minutes. Remove and pat your eyes dry. Do this once in the morning and once in the evening till the puffiness comes down. Take a cool cucumber and grate it. Now put this grated cucumber on and under your eyes. Let this sit for 5-10 minutes or till your eyes feel cold. Pat your eyes dry (do NOT rub). Blend one cucumber, extract its juice and let it cool in the fridge. Now soak 2 cotton buds in the chilled cucumber juice. Place these buds on your closed eyes and rest for 10 minutes. Remove the buds and pat your eyes dry. Do this 2 times a day for fresh feeling eyes. Potatoes contain catecholase which reduces the water retention under the eyes. Potatoes also have anti-inflammatory properties which can have a cooling effect on your eyes. Mix 2 tablespoons each of cucumber juice and potato juice. Soak a small cotton swab in this solution and apply it under your eyes. Close your eyes and rest for a couple of minutes. Wash your eyes with cool water and pat them dry. Alternative Method: You can dip few cotton swabs in cucumber juice, refrigerate them by placing them in a zip lock bag. Once they are cold, you can take 2 swabs each time and place them on eyes for few minutes and pat dry. Vitamin C present in lemon shrinks blood vessels and reduces the accumulation of water under the eyes. Combine equal amounts of cucumber and lemon juice. Dip a swab of cotton into this mixture. Rub it gently all over your eyes and under it. Let it sit for about 20-25 minutes. Wash your eyes with cool water. Make sure you close your eyes at the time of application. Lemon juice can cause burning and irritation if it enters the eyes. Alternatively, you could squeeze a lemon on a slice of cucumber and place them on your eyes for a while. Rosewater is known for its anti-inflammatory property which helps in the reduction of swelling and redness under the eyes. Mix 1 tablespoon each of cucumber juice and rose water. Dip a cotton swab into this mixture. Aloe Vera contains vitamin E which helps in the prevention of wrinkles whereas the antioxidants present in it will reduce the swelling. Take about 4oz of Aloe Vera extract and mix it with 2 tablespoons of cucumber juice. Put this paste into a small zip lock bag and put it into the fridge for an hour. Apply this mixture to your eyes using a cotton bud before going to bed. Wash your eyes with cool water the next morning. Repeat until the puffiness fades away. Coconut oil promotes blood circulation which reduces the water retention under the eyes. The fatty acids present in coconut oil hydrates the skin under the eyes and reduces the wrinkles. In a blender, add a cucumber, ¼ cup of aloe vera extract, 2 tablespoons of coconut oil and 2-3 drops of carrot essential oil. Blend the ingredients to a smooth paste. Pour the mixture into an ice tray and freeze it. Take 2 cubes of the frozen mixture and slowly massage your eyes with them. Splash your eyes with cool water and then pat dry. Repeat this process every morning. Mix equal amounts of cucumber juice and orange juice. Dip two swabs of cotton in the mixture and put it on your eyes. Let the swabs sit for 20 minutes before washing your eyes with cool water. Green tea is known for its antioxidants which help in the removal water retained under the eyes. Green tea contains anti-irritation properties which help in the reduction of redness, swelling and irritation associated with puffy eyes. Make some green tea and cool it down. Immerse two slices of cucumber in this tea and put it in the fridge for an hour. Now place the slices on your eyes for about 10-15 minutes. Remove the slices and wash your eyes with cool water. Repeat this once a day regularly. Chamomile tea has anti-inflammatory properties which reduce the swelling under the eyes. It also provides a refreshing feeling to your eyes. Mash up a couple of cucumber slices. Mix the mashed cucumber with a tablespoon of honey and ½ teaspoon of the chamomile tea. Add 1 tablespoon of Aloe Vera to the mixture and stir well. Apply some of this mixture to your eyes like a face pack. Leave it for about 15-20 minutes before washing off with cold water. The cooling and soothing properties of yogurt help to reduce the swelling under the eyes and provides a refresh look to them. Mix 2 tablespoons of cucumber juice, and 2 tablespoons of yogurt. Keep the mixture in the fridge for an hour. Now take the mixture out and apply it to the eyes and let it sit for 20 minutes. Wash your face with cool water and pat dry with a cotton cloth. Milk has astringent properties which aid in the reduction of the puffiness under the eyes. Lauric acid present in milk calms the swollen eyes and provides a cooling effect. Blend 1 cucumber into fine paste. Mix 1 tablespoon of this paste with 1 tablespoon of milk powder. Apply this paste to your eyes and let it sit for about 20 minutes. Apples can de-stress your eyes, cool them, reduce swelling, and even help you get rid of dark circles around your eyes. Blend ½ cucumber and ½ apple into a thick paste. Add 1 tablespoon of oats to it and mix well. Close your eyes and apply this mixture on them. Wash off the pack with warm water. The above mentioned remedies might not suit all skin types. So it is better to get a patch test done before you use any of the remedies. Make sure to close your eyes during the application of any face pack. In the event of the mixture or any juice enters your eyes, quickly splash cold water on your eyes and visit your doctor if the burning persists. Reduce your alcohol consumption. Alcohol can dilute blood and increase the blood circulation resulting in a puffy face. Drink plenty of water. Water can clear out toxins and any excess waste from your body. Including from your face. If your job involves you to work with a computer, every 15-20 minutes look at something far away from your system so that your eyes do not get strained and tired. Stress and crying is a leading reason for puffy eyes. Try to de stress by working out or going for a jog out in the open. Try to get plenty of sleep. Sleep prevents water retention under the eyes, so try to get at least 7 – 8 hours of sleep per day. Sometimes puffy eyes do not go away. In that case, it is advisable to get your thyroid levels checked up. If you have any other queries or suggestions, do write to us in the comment section below. A friend said to use cucumber and milk does the milk help an anyway? Will cucumber at normal temperature aid to reduce eyebag as I do not have a chilled cucumber? Great info! Cucumber remedies work perfectly for Puffy Eyes. I used cucumber and raw potato for treating my puffy eyes and I was able to get rid of them. Thanks for sharing this informative article.